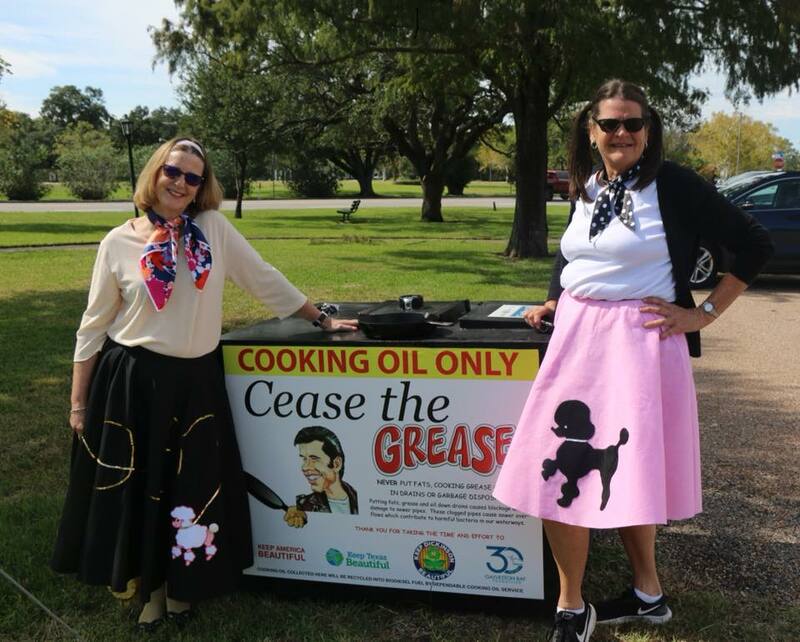 Keep Dickinson Beautiful has partnered with the Galveston Bay Foundation and Dependable Cooking Oil Service, to collect and recycle used cooking oil from local residents. When cooking with fats and oils, grease can go down the drain during cleanup causing sewer pipes to get blocked or damaged. These clogged pipes cost you time and money, and cause sewer overflows, which introduce harmful bacteria into our streets, yards, Dickinson Bayou and Galveston Bay. For proper grease disposal, bring your used cooking oil to the Cease the Grease collection bin at St. Goar and 45th Street in Dickinson (just off Hwy 3 and 45th). Thank you for keeping Dickinson and Dickinson Bayou clean and beautiful!